to apply for the selection process. In this respect, Porsche continues to pursue one goal - to train promising youngsters to become professional race drivers. Applications are open to candidates who are born between January 1, 1994, and February 28, 1998. Aspirants must be able to prove their participation in a touring car and/or single-seater series and must not have contested a full season in a Porsche Carrera Cup, Porsche GT3 Cup Challenge or in a higher level GT series. To apply for the Porsche youth development programme, potential candidates should use the following application form: www.porsche.com/juniorprogramme. Candidates who are successful in the application procedure will participate in a two-stage selection process which includes fitness and endurance tests as well as demonstrating their driving skill at the wheel of the 460 hp Porsche 911 GT3 Cup. The chosen Porsche Juniors sign a contract with Porsche AG and will receive support in the Porsche Carrera Cup Deutschland. Aside from 150,000 euros in funding, the Porsche Juniors receive assistance similar to the internationally successful Porsche factory pilots. Fitness tests with constantly adapted training plans as well as media coaching and sponsor obligations are also part of the programme. The former Porsche works driver Sascha Maassen is on hand as a mentor to the juniors at every race. 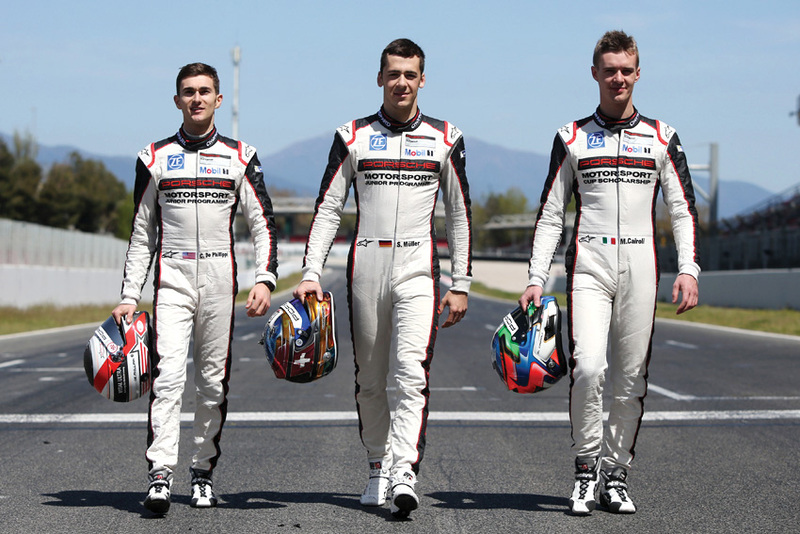 From the Porsche Carrera Cup Deutschland the juniors move up to the Porsche Mobil 1 Supercup. Should they be successful at this level, at best a contract as a Porsche works driver beckons. Porsche's youth development programme was launched in 1997 when the first UPS Porsche Junior team lined up on the grid. 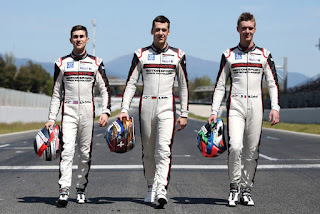 Since then, 19 of the young race drivers who have received support in the junior programme have managed to climb the ladder to become professional race drivers - Porsche factory pilots like Timo Bernhard (D), Marc Lieb (D), Patrick Long (USA), Michael Christensen (DK) and Earl Bamber (NZ) represent Porsche in various race series around the world. Bamber wrote history as the youngest graduate of the junior programme: The New Zealander gained his first one-make cup experience in the Porsche Carrera Cup Asia and the Porsche Carrera Cup Deutschland. In 2014 he won the Porsche Mobil 1 Supercup as a Porsche Junior, and in 2015 he clinched victory at the 24 Hours of Le Mans as a Porsche works driver at the wheel of the 919 Hybrid LMP1 vehicle.